Submit Form Below for your Beijing, China Getaway! Special Offer Destination Preview Let's Go! The Forbidden City: Majestic palaces, pavilions and halls watched over by stately bronze guard-lions. Summer Palace (20 Kms NW of Beijing): Exquisite royal getaway. Contains the world's longest art gallery with 10,000 scenes from Chinese history, geography and myth. Lama Temple: Famed for the 75-ft Buddha carved from sandalwood. Ming Tombs: Elaborate imperial architecture, guarded by a series of stone animals. The Beijing Opera: Musical tradition, martial art and elaborate costume. Wai Jie: Drinks by the riverside. Gun Shi (Rock and Roll): Beijing Techno music with DJs. Party World: Happening Karaoke in lavish setting. The House: Floor shows- Dancers, singers, models, magic shows. Blue Jay: Weekends - drink all night for a flat fee. Green: Great DJs and parties. Jiaozi Dinner: Spring Festival. Jaozi are Harbingers of luck. Dong Dan Bei and Dong Si Nan Avenues: Local delicacies - noodles, dumplings, deep-fried grasshopper! Beijing Weather : The Peak Season during the summer in Beijing is the warmest time of the year, with highs in the 80's and 90's but you will find rain. Bring informal clothing for comfort and versatility, rainwear and umbrella. Spring and Fall have the best weather with highs in the 70's to 80's and cool nights, with frost during late fall and early spring. Bring jeans and a sweater, and some protection from the wind. Winter begins in late October or early November. Between December and March, Beijing is cold, dry and sunny with high's in the low 30's, so bring warm layers, hat, coat, gloves & sweaters. One of our representatives will contact you to courteously review our Beijing China 5 Star Hotel Special sponsored by Absolute Vacation Club, answer your questions and process your reservation! It's time to experience Beijing, whether your first time or your next time - magnificent palaces and monuments, lazy tea ceremonies, bustling street markets...Spiked with the edgy youthful flavor of modern China. Explore The Great Wall, Tiananmen Square, the world's largest square, marvel at the exquisite the Summer Palace and sample world-famous cuisine…Will the wonders ever cease? Not if you're in Beijing! Every single day sends new surprises your way. Indulge in dramatic opera, savor traditional roast duck, amble down centuries-old Hutongs or revel in splendid mountain scenery. From ancient temples and monasteries to towering high-rises and contemporary art and sounds, each part of Beijing has its own sense of time and pace. Live and Remember - Only in Beijing, China! Just 5 blocks from the historic Tiananmen Square, the Jin Qiao International Gardens, is near the action, history, business and entertainment of Beijing. You'll enjoy your stay in a private apartment with modern design and thoughtful conveniences during this special preview pacakge sponsored by the Absolute Private Residence@JinQiao. Enjoy Your Stay at the Jin Qiao International Gardens ! Beijing is calling - give in to its wondrous treasures, or pass up the experience of a lifetime! Unravel the mystery of The Forbidden City, with its breath-taking palaces, pavilions and marble bridges. Don't miss the historic Tiananmen Square...just 5 blocks from your Hotel, which puts top Beijing attractions just a short walk away. Lose yourself in famed monuments and museums on the Square or zigzag through crowded bicycle trails. Just a short drive away, you'll find yourself at Badaling, the most spectacular portion of The Great Wall. So click Let's Go and take advantage of this opportunity discover China and Beijing at this incredible rate sponsored by the Absolute Private Residence@JinQiao. Services may require additional fees. While in Beijing at the Jin Qiao International Gardens, your package includes a no-obligation preview of Absolute Private Residence@JinQiao. Your 90 minute to 2 hour, no-obligation, preview will show you how you can enjoy Beijing as an owner with Absolute Private Residence@JinQiao and the world with your membership in the Absolute Vacation Club. You'll love the luxurious appointments and convienience of the the Absolute Private Residence@JinQiao. Owners can return year after year to their home away from home in Beijing, or enjoy a world of travel options through your membership with the Absolute Vacation Club. And as a member of the Absolute Vacation Club, your comfort and luxury in Beijing are assured and your travel options are virtually endless. Click Let's Go to discover Beijing, enjoy the Jin Qaio International Gardens and preview the Absolute Private Residence@JinQiao. Simply fill in the travel request form below! Although this offer does not include airfares, you can reach Beijing by air easily. Once landed, you'll find complimentary VIP Arrival Services, Transfers from the Airport to the Jin Qiao International Gardens, and much more. Approximate Flight time in Hours to Beijing from from most major cities Worldwide. Once you've landed, the Absolute Private Residence@JinQiao will welcome you with complimentary VIP Arrival Services to expedite your entry to China as well as Airport Transfers from the Airport to the Jin Qiao International Gardens by select taxi service. Now you have all the details. So take advantage of our Beijing, China - Absolute Vacation Club Special - 5 days and 4 Nights, plus the included services, amenties, dining & activities - only $299, so Let's Go. Your information provided will only be used to request the reservation for this Beijing, China 5 Star Hotel Package. This is NOT a confirmed reservation until you are contacted by one of our representatives by telephone and issued a confirmation via email. Eligibility: To be eligible for this Beijing China Vacation Package sponsored by Absolute Private Residence@Jinqiao, you must be a married or cohabitating couple or single individual (with or without an adult guest), between 30 and 65 years of age and have a minimum annual household income of at least $40,000USD. Both parties in the couple must reside at the same address and be present to be eligible and combine incomes for the purpose of meeting the minimum annual income requirement. This offer is not valid in connection or combination with any other promotional offer and is non-refundable and non-transferable. Reservations are accepted on a space available basis for two adults per arrival party only. Confirmation and Identification Required: A written reservation confirmation is required prior to check-in. One offer allowed per arrival party. Income verification may be requested. At check-in, you must present a major credit and personal identification such as a driver's license, passport or other photo identification. Presentation Required: A no-obligation sales presentation on ownership with the Absolute Private Residence@Jinqiao lasting approximately ninety minutes to two hours is required to receive this package offer. All adult members of the party are required to participate in the sales presentation. Only one couple per sales representative. Penalties: WARNING - Supplying false information, not meeting the eligibility requirements upon arrival or failure to attend the sales presentation on the Absolute Private Residence@Jinqiao, will result in an additional amount equal to the difference between the current seasonal rack rate and the amount prepaid for this package will be charged to the credit or debit card used to purchase this travel package. By accepting this offer you agree to abide by these conditions. Language: All communications to receive this package are in English. Upon arrival, guests must be fluent in either English or Chinese or provide an interpreter at the guest's expense. Vacation Package: This package includes a minimum or Five Days and Four Nights of Lodging in a standard hotel suite at the Jin Qiao International Gardens Hotel in Beijing, China and included benefits: VIP Arrival Services. Airport Shuttle for Two from the Beijing Capital International Airport (PEK) to the Jin Qiao International Gardens upon arrival, applicable Hotel Taxes, Daily Breakfast for Two, One Buffet Dinner for Two and a Tour of the Great Wall of China for Two. Hotel room may have either one queen or one king bed. 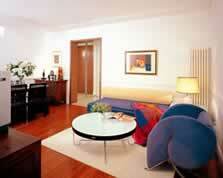 Absolute Private Residence @ Jinqiao may substitute accommodations of equal or greater value with prior notification. Additional nights may be available up to a one week stay at additional cost, up to $449 for a full week. Purchase must be made with a major credit card. Sorry, debit cards not accepted. Holiday periods and peak travel times may be blacked out or available only at higher rates. Retail Value of Total Vacation is between $895 USD to $1299 USD plus tax based on season. Seasonal Rack rate for these accommodations is $55 US to $135 US per night. Once purchased and confirmed, package benefits and price are guaranteed. Not Included: Package does not include airfare, transportation not specifically included, taxes on other items, gratuities, meals not specifically included, amenities, spa services, incidental expenses or benefits not specifically included. Security Deposit: On arrival you are required to present a major credit card as a refundable security deposit equal to the amount of $100 US to cover any damage or loss to the resort as a result of any actions of your party. Ineligible: Students, Travel Agents, employees of Absolute Vacation Club, persons who have previously participated in a promotional offer sponsored by Absolute Vacation Club within the past twelve months, those not meeting the conditions of this offer, and those who are unemployed are ineligible with the exception of retired couples meeting all the other conditions of this offer. Processing Your Request - Lodging Confirmation: All requests for lodging confirmation under this offer must be accompanied by your acknowledgement that you meet the terms and conditions of this offer both on your request form and verbally with one of our representatives. Your travel reservation request must be accompanied by payment on a major credit. Your card will only be charged by Absolute Development Corporation Ltd. at the time acceptable lodging and dates can be confirmed. Upon processing your request, a confirmation will be issued via email detailing your lodging, dates and times of check-in and check-out and all premiums or bonuses included. Confirmation normally takes approximately 24-48 hours. We provide customer service to you in advance of your arrival as well as a copy of these Details of Participation in your confirmation. We are here to be of service to you. Airport Taxi & Shuttle Service: Package includes transfers by taxi or shuttle service selected by Absolute Private Residence@Jinqiao from the Beijing Capital International Airport (PEK) for two adults on day of arrival. Gratuities are not included. Return transportation is the responsibility of the guest. Retail Value is up to $50. Daily Breakfast for Two: Package includes a Daily Breakfast for Two at a restaurant at the Jin Qiao International Gardens Hotel selected by Absolute Private Residence@Jinqiao. Taxes and gratuities are not included. Retail Value is between $35US and $60US. Voucher for Breakfasts is given at the completion of the required tour of the Absolute Private Residence@Jinqiao. Buffet Dinner for Two: Package includes a Dinner for Two at the Buffet Restaurant at the Jin Qiao International Gardens Hotel selected by Absolute Private Residence@Jinqiao. Taxes and gratuities are not included. Retail Value is approximately $40US. Voucher for Dinner is given at the completion of the required tour of the Absolute Private Residence @ Jinqiao. Great Wall of China Tour: Package includes one Great Wall of China Tour for Two Adults including transporation from the Jin Qaio International Gardens. Tour is in a group selected by Absolute Private Residence Club. Gratuities are not included. Voucher for the Great Wall Tour is given at the completion of the required tour of the Absolute Private Residence @ Jinqiao. Retail Value approximately $75US. Reservation Changes and Cancellations: Due to the significant discounts available with this package, sales are non-cancelable, non-refundable, although changes may be made subject to the following conditions: Package purchase is valid for one year from the date of purchase in a comparably priced time period. Package price will be applied to rescheduled package time period rates. Any changes of a confirmed reservation will result in the loss of the use of the accommodation for the reserved period and any occupation rights related to this reservation. Changes to arrival dates may be made up to twenty-one (21) days prior to arrival at no charge. Changes to arrival dates may be made between eight (8) and twenty (20) days in advance require an automatic cancelation and reschedule fee of $100 which is charged to the credit card used for the package purchase at the time of cancelation. Changes made within one week (7 days) of arrival forfeit full package price. Requests for reservation changes must be made through Resort Opportunities(tm) by phone at (760)779-9960 and by email at customerservice@resortopportunities.com. Release of Travel Liability: Guests agree to bear full personal responsibility for travel to and from Beijing, China and to release Resort Opportunities(tm), Absolute Private Residence@Jinqiao and Absolute Developments Corporation Ltd., from any and all claims, now and in the future resulting from travel to and from Beijing, China before, during and after this package. For more information about this promotion call for the "Beijing, China Absolute Vacation Package sponsored by Absolute Private Residence@Jinqiao" at Resort Opportunities(tm) (888)298-9488 toll free from within the USA or (760)779-9960 from outside the USA. ©copyright 2006 Resort Opportunities, All Rights Reserved. Special Offer | Destination Preview | Let's Go!